UPDATED April 18, 2019 – Cord blood refers to blood left in the umbilical cord after birth. Back in the day, this was generally discarded. However, because of modern advances in regenerative medical sciences, scientists have found a very useful purpose for them. The goal now is preservation or application of cord blood instead of discarding them. Why? Because it has been found to be rich in mesenchymal stem cells. 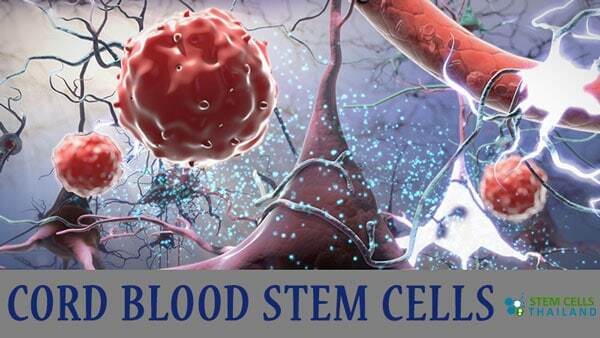 Stem cells are the essential ingredient in cell transformation, renewal and natural healing. These regenerative properties plays a pivotal role in the modern treatment of diseases. Stem Cells are natures pharmacy and they are usually found in bone marrow,adipose fat,dental pulp derived or peripheral blood of all people and are responsible for healthy cellular and tissue growth. When a stem cell undergoes division, the new cell has the option to remain the same or convert itself into another type with a different function. This process is called differentiation and it is the basis for cell therapy in Thailand. 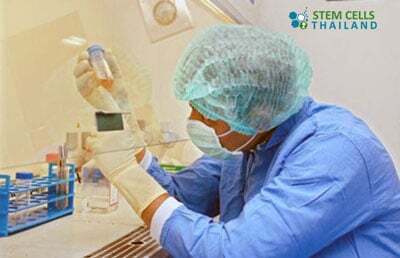 Stem Cell Research has found cord blood to contain very high concentrations of adult stem cells that eventually develop as hematopoietic blood cells. The resultant stem cells are called hematopoietic or blood-forming stem cells as they are found to be similar to bone marrow cells, which has been widely used in treating a variety of genetic disorders , diseases of the blood and autoimmune diseases such as lupus, diabetes along with kidney disease, and in post cancer therapies. 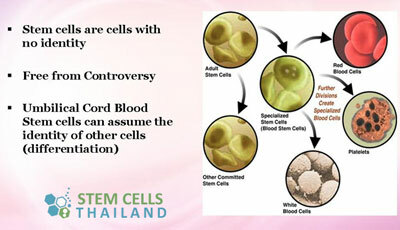 The collection of cord stem cells is done within minutes after delivery, specifically when the placenta has come out. The doctor drains off blood from an umbilical cord vein through needle aspiration. It only takes about 10 minutes, after which, the blood shall be sent to the laboratory for further tests to determine the presence of infection or diseases, and other necessary blood typing procedures. Cord blood collection actually possess lesser risks compared to having them donated. The only requirement is a pregnant mother who is about to deliver her child. There is no risk to both mother and child as the procedure occurs as a normal part of the child delivery process. Whereas with blood donations, donors will have to undergo several tests for clearance and then a series of GSF injections to stimulate release of the cells from the bone marrow into the blood. This is more painful and tedious in our treatment protocols as the donor would have to be put under anesthesia because blood is basically drawn out from the insides of the bone, which could be very painful. If you are a parent and you wish to donate cord blood, you may be able to do so by contacting blood cell banks and making the necessary arrangements about six weeks prior to your due date. You have the choice to store your newborn’s cord blood at a private cord blood bank for family use in case your baby or a relative needs it. It can also be stored in public blood banks for anybody to have access to it as long as it is their genetic match. To learn more about cord blood banking or cord blood stem cell treatments please contact us today. Is it possible to have a stem cell treatment following major surgery, for the purpose of healing better and faster? I am looking forward for cord blood and MSC stem cell injection in the region of 150-300 million on 01.08.2015 till 15.08.2015 I done my CKD stage 3a treatment in Beijing China at speciality hospital couple with stem cell injection but I need secondary high dose injection for follow up treatment please advise duration of hospital stay stem cell qty and most important your treatment cost my eGFR is 75 creatinine is 85 type II Diabetic/CKD stage 2/Fatty Liver/Gall Bladder stones/Hypertension , I inderstand stem cell can treat fatty liver , whatva out beta cell injection for reversal of Type II diabetic condition ? ?